Greater intake of dietary nitrate and green leafy vegetables was associated with a 20 percent to 30 percent lower risk of primary open-angle glaucoma, according to a study published online in January 12016 by JAMA Ophthalmology. A release from the publisher explains that elevated intraocular pressure and impaired autoregulation of optic nerve blood flow are implicated in primary open-angle glaucoma (POAG; optic nerve damage from multiple possible causes that is chronic and progresses over time). Evidence suggests that nitrate or nitrite, precursors for nitric oxide, is beneficial for blood circulation. 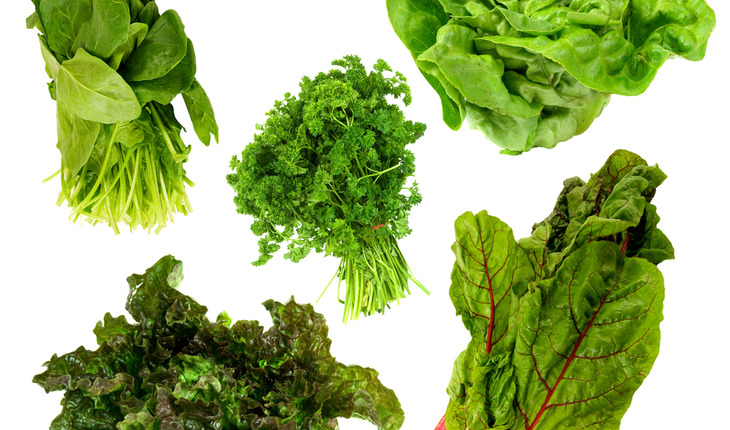 Jae H. Kang, Sc.D., of Brigham & Women’s Hospital and Harvard Medical School, Boston, and colleagues evaluated the association between dietary nitrate intake, derived mainly from green leafy vegetables, and POAG. The researchers followed up participants biennially in the prospective cohorts of the Nurses’ Health Study (63,893 women; 1984-2012) and the Health Professionals Follow-up Study (41,094 men; 1986-2012). Eligible participants were 40 years or older, were free of POAG, and reported eye examinations. Information on diet was updated with questionnaires. “These results, if confirmed in observational and intervention studies, could have important public health implications,” the authors write.